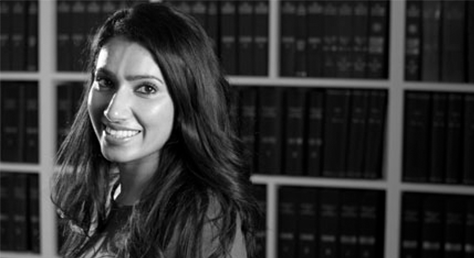 Juanita Kareer, children panel member and solicitor in the family team represented the child in this Court of Appeal case where the court was faced with the dilemma of choosing between two equally appropriate and positive placements. The case concerned a boy, aged 1, whose mother was British with Ghanaian descent and whose father was Ghanaian. Two older children (the child’s siblings) were cared for by their maternal grandmother in London under a Special Guardianship Order. She was unable to care for this third child as well and so she proposed that the boy was looked after by a cousin of hers in Ghana. The Local Authority conducted an assessment of the family members in Ghana and were sufficiently satisfied so that they made arrangements to transfer the child to their care, even though he had never met them, and throughout his life had been looked after by a foster carer. The child’s foster carer, a single parent living in London, was also positively assessed. Her relationship with the maternal family became estranged after she forwarded herself for permanent placement. Until that point she had been supervising contact between the child and his family, including his siblings. The case concerned which of these proposed placements, both equally appropriate and positive, ought to succeed. The first instance Judge adopted a holistic approach and agreed with the Guardian’s position that a placement with the foster carer was the preferred choice because a placement with her provided the opportunity for the child to develop sibling and extended family relationships. The Judge then made no Order for contact despite the fact that the Judge was aware of the estranged relationship between the foster carer and the maternal family. The Local Authority appealed arguing amongst other things that the welfare checklist had not been fully applied nor was the Judge’s decision proportionate to the child’s welfare needs and particularly that he was to be placed with a foster carer when a “good family option” was available. The appeal was allowed on the basis that the Judge’s reasoning was inadequate. It did not sufficiently explain why it was necessary for the child to grow up in foster care when there was a placement available to him with his natural family which also offered significant time spent with close family members. It was held that the Judge had not shown that she had sufficiently balanced the arguments nor that she had sufficiently weighed the risks inherent in each placement. The tipping factor in the Judge’s evaluation sprang from the only contested issue. This combined with the absence of a systematic checklist analysis left open the possibility that the issue was given more weight that it could probably bear. The Court of Appeal was very clear that the welfare checklist must not only be applied but it must be seen to be fully applied. Lord Justice Peter Jackson stated that the welfare checklist provides “the decision maker with a work bench and tools with which to devise a proper welfare outcome”. The matter was remitted back to the first instance court for re-hearing, when it was determined that placement with the birth family members in Ghana was the more appropriate option for this child. If you have a childcare case you need assistance with, please contact Juanita on j.kareer@wilsonllp.co.uk or for an appointment call Mavis on 020 8885 7986.